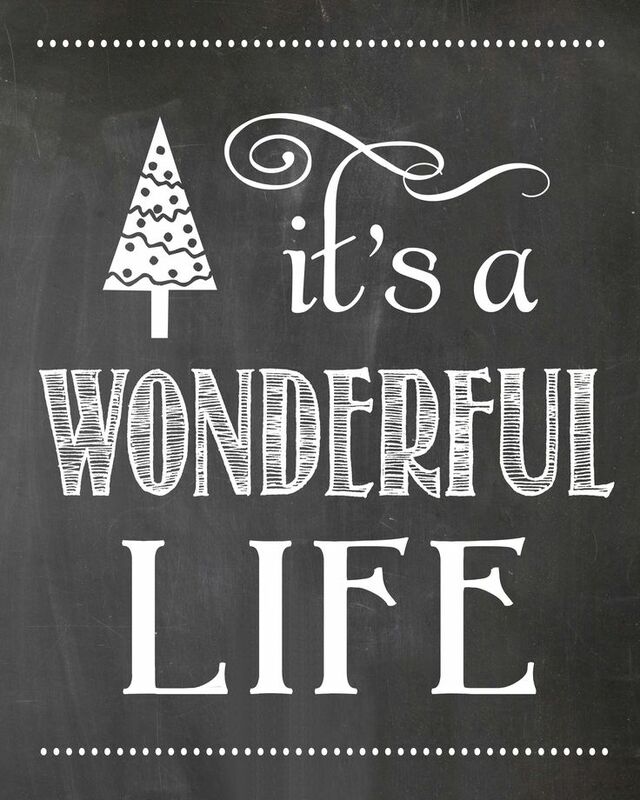 I recently saw the movie, “It’s a Wonderful Life”, directed by Frank Capra; it debuted in the post-war period of 1947. Now, it’s aired primarily by the NBC network during the holiday season. For a black and white movie, a lot of the movie’s themes are still relative for the world today. Meet George Bailey, a young man, who is also the son of a banker. George has so many hopes and dreams that he wants to accomplish in his life. Then, after his father dies, he is left with the family business, “The Bailey Building and Loan”, and comes to the realization that many of his most cherished dreams may not come to pass. George gets married and has a family. Things take a “sour turn” halfway through the film, when Mr. Potter, the film’s villain; makes a dishonest move against George’s uncle. As a result of this, George is feeling miserable and hopeless. Enter the angel Clarence. George was willed with so much grief and despair that he has contemplated throwing his life away. Clarence presents George with a remarkable gift; a life he has never lived. If you were to take a step back and analyze your life to this date. Though it’s probably safe to assume that our life hasn’t been as dramatic as the fictional character of George Bailey, we do have a lot of power to affect positive change. So, how many lives have you affected? How have you helped people? What have you been able to do to affect positive change? What things could you make better? How would your friends and family be different? Going further, imagine, now, what the world would have been like if Christ had never come into it. Our world, would have remained a very dark place. The birth of Jesus was a changing point. The Son of God was a gift that was given to us by God the Father. And as such, we must be thankful for this gift and look at our lives as gifts as well. God saw how dark the world was becoming, but as much, he was able to see the darkness inside of people’s lives. In John 3:16, St. John writes, “For God so loved the world that he gave his one and only Son, that whoever believes in him shall not perish but have eternal life.” That’s right, God loves the world and all of us so very much, that he bundled up and placed his “gift” in swaddling clothes and placed him in that manger in that cave. And he gave us an eternal “gift” to spend it with him. And it is up to us as Christians to continue to be that ‘gift.’ We must remember that often, we are the only Jesus people will see. We are the only Bible some people will read. The holidays and Christmas time can be a somewhat depressing time for many people, and as Christians it is important for us to never lose hope or our faith, but to exhibit that faith on a grander scale. As much as Clarence gave George some perspective on his life, and his accomplishments already, I urge you to not lose hope or your faith. If self-analysis grants you great conviction or satisfaction, please know that you can still change your life. Our life on this Earth is truly a most wonderful and gracious gift. So make it a great one! Amen. Very beautifully written, Br. Matt! Thank you for sharing this reflection. Such a blessing! Thank you Matt. It IS a wonderful life, warts and all!